If you're on this page, you likely already know about this watch. It's legit, exactly as described, and beautiful in person. Let me tell you about the best part, though. The customer service at LEDWatchShop.com is the kind you didn't think existed anymore. I needed some help getting my watch up and running. Mendel, the owner, emailed back and forth with me with step-by-steps, promising me we'd get a working watch one way or the other. His steps worked and I'm now enjoying this thing! Mendel told me, "Working with clients is one of the best parts of the biz." It definitely shows! If you're looking for an honest place to pick up a watch, I cannot recommend this website enough. Thank you, Mendel! 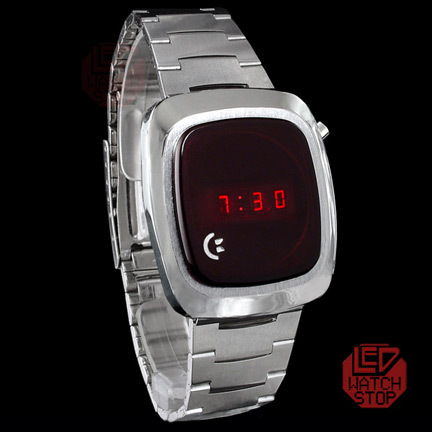 Notify me of updates to COMMODORE LED Watch - CBM Time - 70s MINT!